After purchasing a vehicle, the last thing you want to do is leave it outside exposed to weather conditions. If your garage is full, the best option is a carport with solid posts for support and a durable roof to shelter your vehicle from rain, paint-damaging sun and hail that can cause body damage. Carports come in a variety of materials with color and size options available to suit your needs. 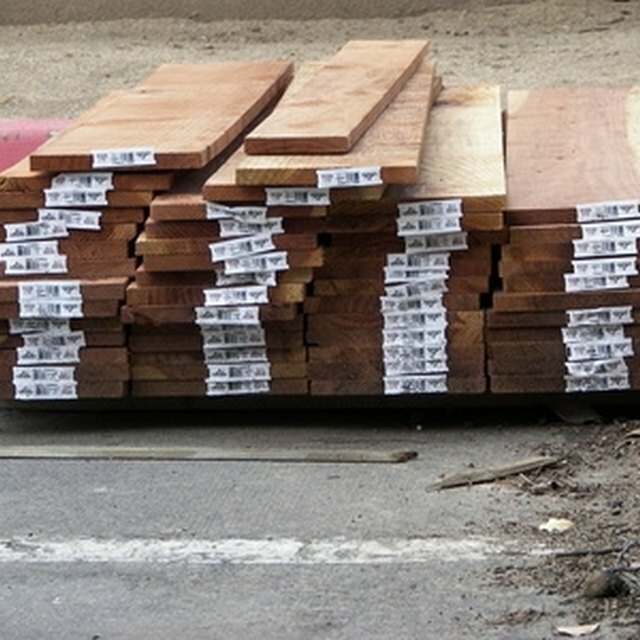 When thinking to use wood as the material for your carport you will have to decide whether you want a soft or hard wood. You will have the option to cut and shape the wood to add a custom look to your carport. After building a wood carport it can be painted to match the rest of your house. "By far one of the most common and sought after types of carports are wood carports," states Wooden Garage Doors Guide. Wood carports are sturdy and built to last for years even with exposure to extreme weather conditions. Aluminum carports are lightweight and stable making them an efficient way to protect your vehicle. To add an extra boost of protection to an aluminum carport, you can have it anodized. "Aluminum carports are one of the most popular because they are strong and durable but also less expensive when compared to steel carports," according to Carports For Sale Info. An aluminum carport is made to provide adequate shelter for your vehicle in extreme heat, heavy winds and rain. There is also Alumawood which has the same makeup as aluminum but the look and texture of wood. Choosing a carport made of polyethylene will benefit the interior upholstery and exterior paint of your vehicle. This carport material is durable and built to keep the sun, rain and snow of your vehicle. "Polyethylene construction is probably the most economically advantageous tender type of parking available," according to Access My Homes. The construction process will cost you less because polyethylene is light and cheaper compared to steel and aluminum. The lightweight of this material will lower the amount of workers needed and also the cost in labor for installation. Be sure to purchase a carport that comes with a warranty. Steel carports are an important item for protecting the vehicles of those who live in areas with strong winds. This material is heavy and not easily moved once installed and mounted to the ground. "The best type of material by far is steel due to the durability and reliability of this material" according to Garage Door Repair Resource. Steel carports are sold in different sizes with height and width being two things you will have to consider. Some steel carports can be assembled without a professional but the weight of the product means you will need help.